Viphurit Siritip, more commonly known by his nickname Phum, is a young, up-and-coming singer-songwriter from Thailand. Known originally for his covers of popular songs on YouTube, he has achieved international fame for his 2017 debut album Manchild, and his 2018 single “Lover Boy”. A combination of neo-soul and indie folk, Phum has developed a style all his own, and has a very bright future at only 23 years of age. His song “Hello, Anxiety” is his newest single, and it has accumulated over 2.5 million views on YouTube. All the Phums wear yellow high top chucks in this music video. 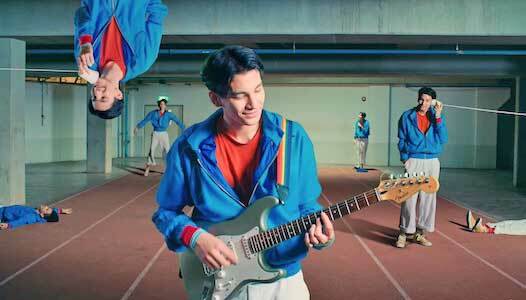 The music video begins with Phum strumming his guitar alone on what looks like an indoor track and field track. The musicians playing his backing music briefly pop up behind him as the full track kicks in, but they quickly disappear and are replaced by multiple Phum’s doing various things in the background. All of the Phums are dressed in a blue jacket, orange shirt, khaki slacks, red socks, and bright yellow high top chucks. This whole rainbow of an ensemble offers a great splash of color in an otherwise drab setting. 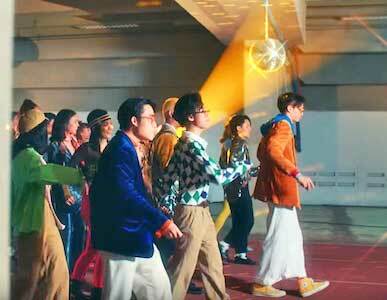 The other Phums dance and move behind the actual Phum until the green screen he’s standing in front of is taken away. This results in the hilarious reveal that the background is still the same, and the green screen was completely unnecessary. 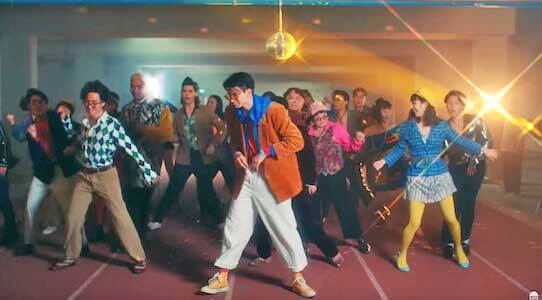 Phum dons a big jacket and starts acting like a big shot on set as he dances with a whole crew on out of there. Eventually though, he is left all alone with nothing but his anxiety, and the video ends with Phum solemnly walking away down a lonely tunnel. This video offers a great visual representation of anxiety, and how no matter how you dress it up, it stays with you and follows you unrelentingly. Eventually, you have to deal with it, or you break down. Something straight out of “Saturday Night Fever”. Use the links below to get a new pair of chucks to relieve your anxiety.